This one-of-a-kind clutch has a fascinating feature - the inner section has a metal insert in the top band that makes it "spring" shut. This is my own design making it a special one of a kind find! The interior is lined in turquoise and has a quilted center section, there are two pockets and this clutch has a magnetic snap closure. 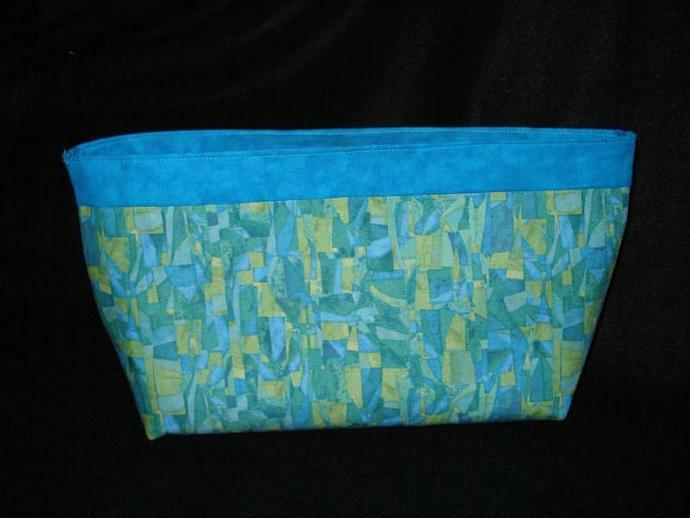 This bag measures 11.5" inches wide across the top opening, 6" high, 11" wide on the main body.